This is up there with Yemen and Syria in terms of number of people in desperate need. I was not prepared of for the scale of the suffering, frankly. Since the Congolese are not coming to the Mediterranean, since the Congolese are not part of a Russian-US or Saudi-Iran battle, they are being ignored really. According to the United Nations, 13 million people are in need of humanitarian assistance, 4.5 million people are displaced from their homes, more than 7 million face severe food insecurity, and two million children at risk of starvation. In the past, I have written about the bloody wars in the southwestern Kasai region, where the armies and militias reporting to the government of President Joseph Kabila are committing genocide; about the bloody tribal wars in northeastern Kivu region, causing massive refugee flows into Uganda; about the massive corruption of Joseph Kabila, skimming billions of dollars out of the treasury and providing it to his family and cronies; and of his repeated stunts of refusing to hold elections, so that he can’t be replaced as president. As we reported in February, another a humanitarian disaster of “extraordinary proportions” emerged in Tanganyika province in southeastern DRC. For several years, there have been bloody clashes between two ethnic groups, the Luba, a Bantu ethnic group, and the Twa, a Pygmy ethnic group. 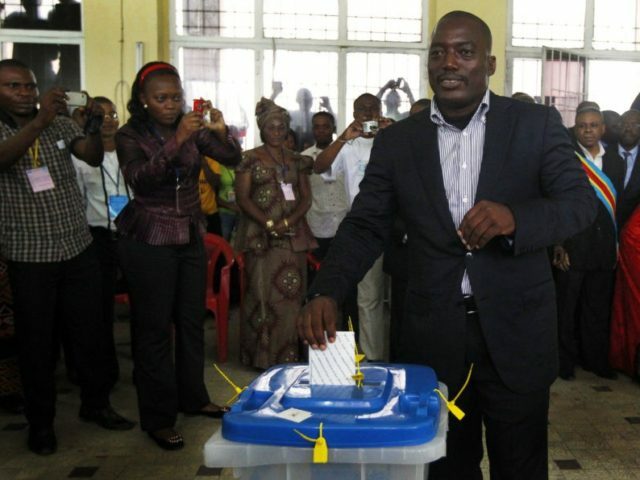 The violence surged in January of this year with the entrance of the president Kabila’s Congolese armed forces. The increasing violence is destabilizing the entire region. As we reported in December, the genocide by Kabila’s army has resulted in 3.9 million people forced to flee their homes to escape the violence. Hundreds of thousands have fled to Zambia, Angola, and other neighboring countries as refugees, creating a humanitarian disaster in those countries. 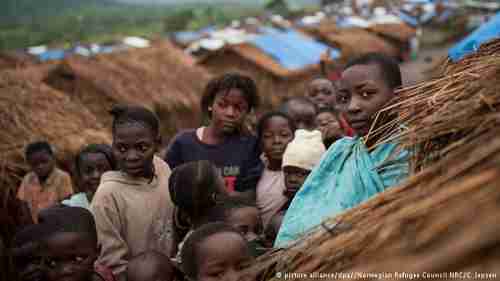 The United Nations International Organization for Migration (IOM) sponsored a humanitarian conference for Democratic Republic of Congo (DRC), meeting on Friday in Geneva. The purpose of the conference was to raise funds for humanitarian aid to DRC. Even more startling is that one of the countries that boycotted the humanitarian conference was DR Congo itself. According to Zenon Mukongo Nga, DRC’s ambassador to the United Nations, DRC officials are furious about the description of DRC as a failed state. In particular, they dispute the UN estimate that 13 million people need humanitarian aid, and they say that only 200,000 people are internally displaced. The level of humanitarian situation was raised to ‘level three’, the worst of all the levels in the world, meaning exactly that DR Congo has been compared to the countries where there is chaos, where the state has collapsed, where there is nothing working so far. And this drove people mad. We have our own figures which should be confronted with UN figures because, sometimes people are just sitting in their offices in Geneva, in New York, and they just get reports from each people who are on the ground. Sometimes they don’t go really on the ground. We have people everywhere and the figures we have are the real ones. Although no real explanation for the DRC boycott of their own humanitarian conference has been provided, it appears to be another cynical action by president Joseph Kabila, one of the bloodiest and most corrupt leaders in the world. Kabila was to have stepped down as president in December 2016. However, he refused to allow elections to go forward, and without elections he could not step down. Since then, he’s made no preparations for elections, and he’s used violence, torture and jailings to suppress protests, as he continues to stay in office illegal. At first, he promised to hold elections in December 2017, but it was clear that those elections would never be held, as he refused to make any preparations for them. Now he is promising elections in December 2018, and the international community has threatened to cut off aid if the elections are not held. At the same time, Kabila and his family own, either partially or wholly, more than 80 companies and businesses in the country and abroad. He and his children own more than 71,000 hectares (175,444 acres) of farmland. His family owns diamond mines, a part of the country’s largest mobile phone network, companies that mine mineral deposits, gold and limestone, a luxury hotel, stakes in an airline, a share of the country’s banks, and a fast-food franchise. So there is literally no possibility that Kabila will ever agree to step down, since if he does then his family’s entire corrupt empire will be put into danger, and many members of his family could be jailed on charges of corruption. Humanitarian aid does not go to the government. It is given to NGOs that provide food, water, medicine and humanitarian services to actual people. And Kabila couldn’t care less for the needs of ordinary Congolese people. 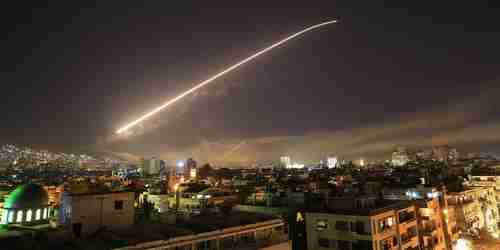 As I am writing this article on Friday evening (ET), the United States, France, and Britain launched coordinated missile strikes on three targets in Syria, two in Damascus, one near Homs, all related to manufacture and storage of chemical weapons. The following are some preliminary notes on the announcements. However, Secretary of Defense James Mattis said that the operation was completed, once the three targets were hit. If both of these statements are true, it would have to mean there will be additional operations if the regime continues using chemical weapons. There will be debates in Congress whether Trump had the authority to order these strikes without Congressional approval. Some people are arguing that UN Security Council approval would also be needed, but as we have been writing lately, the Russians have been using the UNSC to control U.S. foreign policy by requiring all operations to be approved by the UNSC, where Russia has veto power, while Russia goes ahead with any operations it wants, such as invading and annexing Crimea, without seeking UNSC approval. This week, U.S. ambassador Nikki Haley announced that, in effect, the U.S. would conduct an operation with or without UNSC and Russian approval. Russia did not attempt to strike down the incoming missiles, suggesting that Russia might be tacitly approving of the missile strikes. Mattis said that Russia was not notified in advance, but that a standard phone call was made over the joint US-Russia deconfliction phone line. However, Syrian media claims that its air defenses shot down some missiles. After Trump has set a firm “red line” about chemical weapons, Trump had no choice but to go through with a strike on Syrian targets. Friday’s strike was an essential message to the North Koreans as the planned summit meeting between Trump and Kim Jong-un approach. If Trump had backed down from a missile strike, then America would have had no credibility whatsoever in the summit meeting.